Delta-Simons takes 10-year lease in Lincoln bringing with it new jobs for the city. One of the UK’s leading environmental consultants, Delta-Simons, has announced that it has taken a 10-year lease on a unit at Stirlin Business Park in Sadler Road, which is part of the firm’s Midlands growth strategy. The expansion, which brings two new jobs to Lincoln and will offer wellness facilities for staff, follows Delta-Simons’ recent investment into further drilling and other geo-environmental equipment to manage its expanding customer base and portfolio. 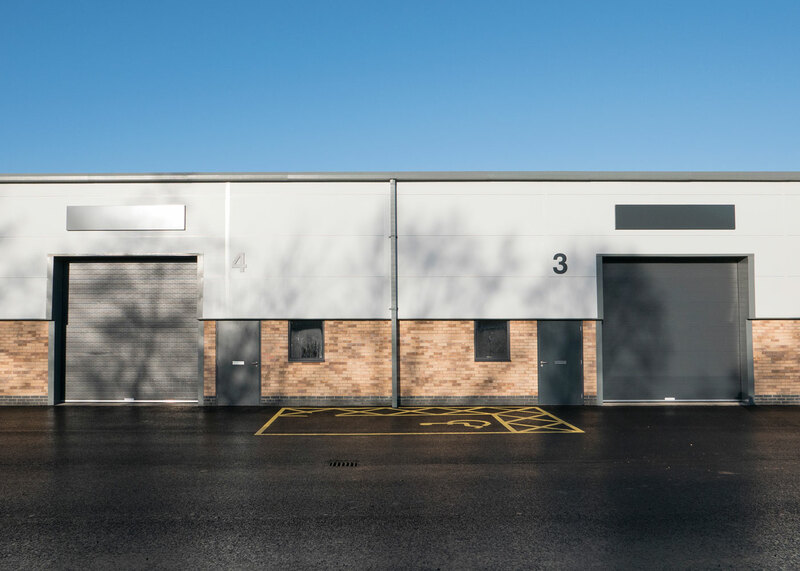 With its head office in Doddington Road, the firm had a unit in North Hykeham that was used for specialist equipment storage, however the company outgrew the unit and the firm needed a larger space that was close to its head office. The company also wanted to provide facilities for its staff including shower and changing facilities to encourage staff to cycle to work where possible. Having been introduced to the 4,848 sq ft unit that is let by Lincoln-based Stirlin Developments and managed by local agent Pygott & Crone, Delta-Simons took a 10-year lease, showing its commitment to the business park. Stirlin Business Park, just off the A46 Lincoln bypass, is prime commercial space close to Lincoln city centre and this lease sees the commercial park at full capacity. The new unit will primarily be used by the Delta-Simons drilling team – Delta-Drilling, which following the expansion has welcomed two new assistant drillers to the team. Paul Bennett, unit director for the Midlands region at Delta-Simons, said: “Delta-Simons has a long-term growth strategy to expand our offices and facilities to support our broad client base. “We have two reasons for taking this unit, firstly we had outgrown our existing storage space and needed a bigger unit close to our head office, and secondly we wanted to provide our dedicated team additional facilities that would help those who want to cycle to work. “Further to that, the Sadler Road location is very close to our Doddington Road office so staff can easily walk between the two locations, reducing the use of vehicles whilst promoting employee wellness, which is very important to us. James Kirby, managing director of Stirlin Developments, said: “Delta-Simons is a well-known and respected firm in Lincoln and across the Midlands and I welcome them to Stirlin Business Park. “The team will be neighbours to a broad range of successful companies who chose to be located at Lincoln’s leading commercial district. The facilities at Sadler Road are second to none and I wish Paul and his team all the best at the site. Other facilities available in the surrounding area of the Stirlin Business Park include hotels, health and fitness clubs, public houses and restaurants.